All Dumfries homes currently listed for sale in Dumfries as of 04/22/2019 are shown below. You can change the search criteria at any time by pressing the 'Change Search' button below. If you have any questions or you would like more information about any Dumfries homes for sale or other Dumfries real estate, please contact us and one of our knowledgeable Dumfries REALTORS® would be pleased to assist you. "NEW CONSTRUCTION: Hamilton II, 5 Bedrooms, 5.5 Bathrooms - Main Level Bedroom with Full Bath, Double Spiral Staircase, Floor to Ceiling Stacked Stone Gas Fireplace in Family Room, Coffered Ceiling in Foyer, Family Room and Upper Hall, Morning Room Off of Breakfast Nook, Upgraded Stainless Steel Appliance Package in Kitchen, Finished Basement with Rec Room, Wet Bar Rough-in, and Full Bath. *Photo Similar to Home Being Built*"
"***The Berkeley Model home offers a huge dining room and library. An open Kitchen with eat at counter tops and dinette area. This home boast decorators touches throughout the home. Master bedroom has a luxurious master bath and covered porch. The basement includes a wet bar, recreation room, guest room & full bath. An Amazing exterior offers a way to enjoy the the outdoors from every level!!! ***"
"Home offers 4 levels of luxurious living space. When you walk into the foyer of the main level you will be greeted with an open floor plan and high ceilings to give a truly welcoming feeling. This home offers a well-appointed family room, dining room, and breakfast room. You and your guests can retreat to the entry level bedroom which is off of the gourmet bespoke kitchen. This home is one of very few that offers an Upper 4th Lofted level of home with a large sitting area great for a secret spot to put an office, use as a bedroom or TV viewing area and it includes a full bathroom. The master bedroom is grand and the master bath has the details of a spa. In addition there is a Custom Laundry Room on the main sleeping level. This home has the offerings of true luxury living and was not spared the details or decorative touches such as custom crown moldings and high ceilings and 9ft doors. It includes a whole home intercom and music system that you can access from almost every room in the home. This home does not disappoint with all that is has along the lines of luxury and attention to detail. The recently finished lower level offers recreation space, a gym and a bedroom with a full bath in the fully finished and walk out basement. Home has an all weather deck that backs to the woods with well maintained fencegrounds that are perfect for entertaining outdoors. 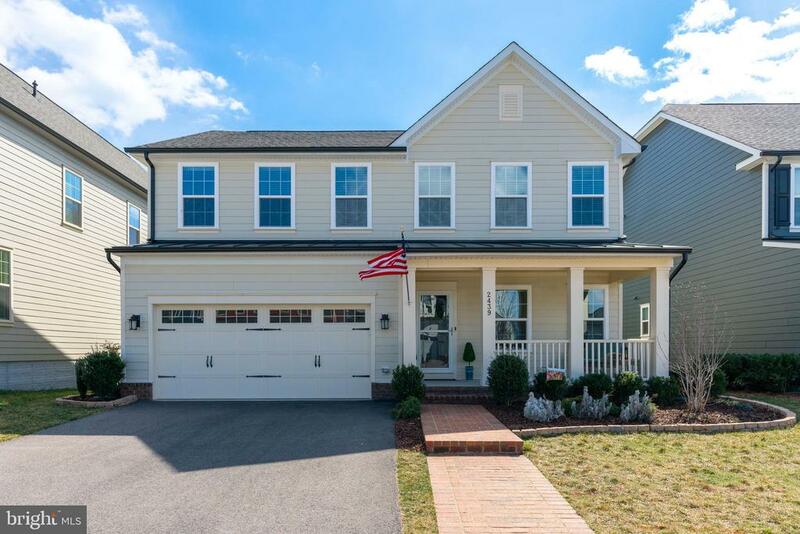 This home will have you feeling like everyday is a vacation in the only Resort style community close to Metro DC. 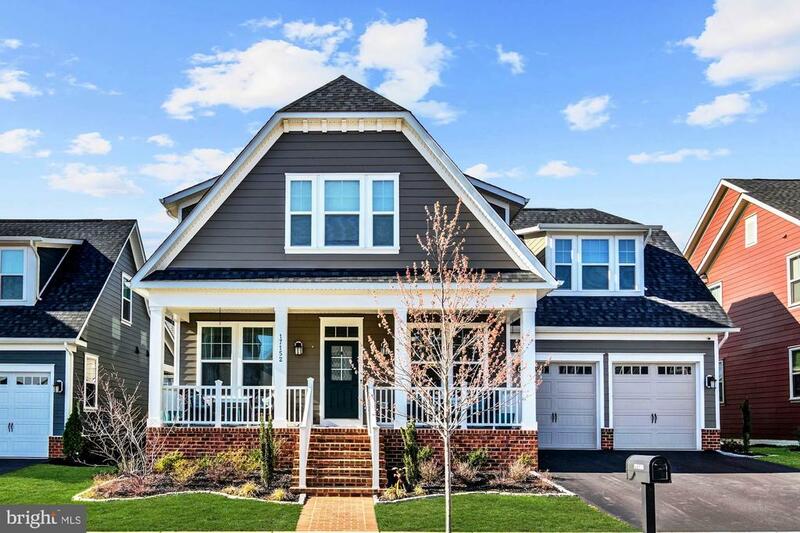 Community is complimented by a Jack Nicklaus Designed Golf Course, Clubhouse, Shops and Restaurants in a Town Center Setting, Marina, VRE Station and so much more." "Welcome to your new home! That is if you are looking for a home that offer a refreshing floor-plan to the boring colonials you keep seeing. This home will surprise you at every turn. It looks like a cottage, however it is more like a Bungalow on Steroids! 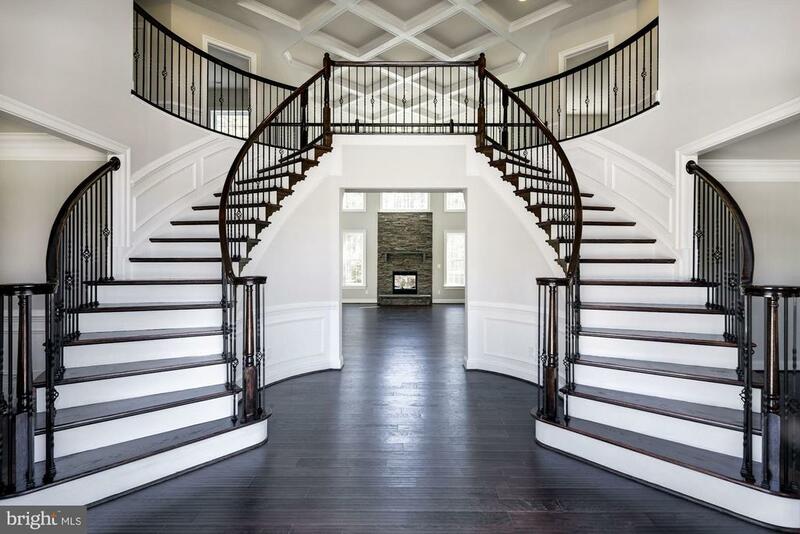 From the minute you walk in this home you will be awed by the twenty foot high coffered ceilings and dramatic staircase to the loft. Opposite that is the full wall of bookcases flanking a warm gas fireplace and a room full of windows! This space is truly awesome and open to the kitchen,as well as the dining room. Head to the breakfast room and the view of nature captures your attention. The owner added an amazing screened porch and deck and in-ground sprinkler system after purchaser. You will LOVE this space. But there's more. The master bedroom and luxury bath and huge closet await you in the rear of the home as well as a second bedroom, laundry room, and half bath. In the front of the home you will be delighted to learn there is a very nice office with french doors for privacy. Head upstairs and you will find a loft, a large bedroom, walk in closet and a full bath. Head to the basement level to find a finished rec room with walkout. This is a HUGE L Shaped Room. There are two additional spaces that can be finished at a later date. Owner is very flexible on delivery. Tell us what you need. 30,60,90 days...that's all possible. If you see this home, you will say I want it! PS: HOA included high speed internet, pool and state of the art gym. Potomac Shores is a resort style community so there is a social event and class schedule published monthly. These homes are energy saving built homes . This one has an interior suppression system, was built with John Hardi siding and has energy saving appliances, and systems and lighting. That means big savings on your homeowners insurance policy. Schedule your appointment today. Lister lives in Potomac Shores." 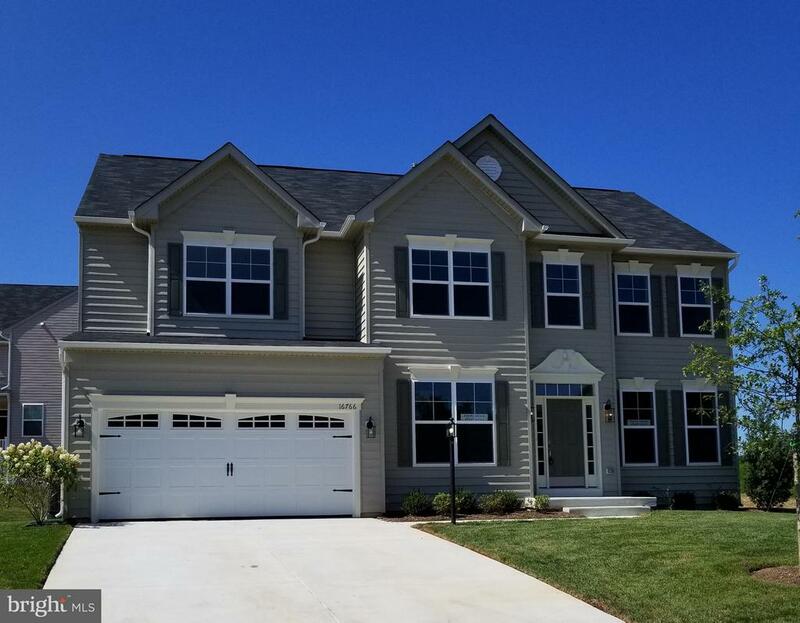 "NEW CONSTRUCTION, BUCHANAN II, 4 BEDROOMS, 4.5 BATHROOMS: Morning Room Off Breakfast Nook, Upgraded Stainless Steel Appliance Package, Finished Basement with Rec Room, Wet Bar Rough-in and Full Bath. *Photo Similar to Home Being Built! 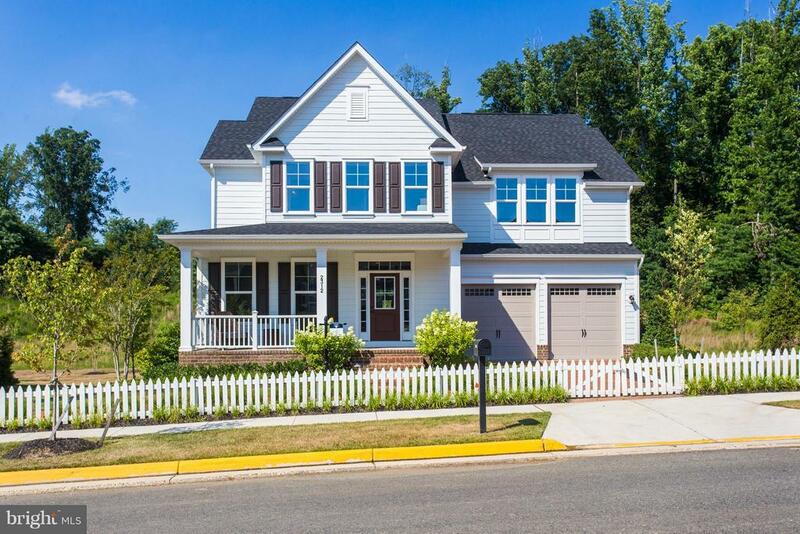 *"
"Customize your dream home in beautiful Potomac Shores! 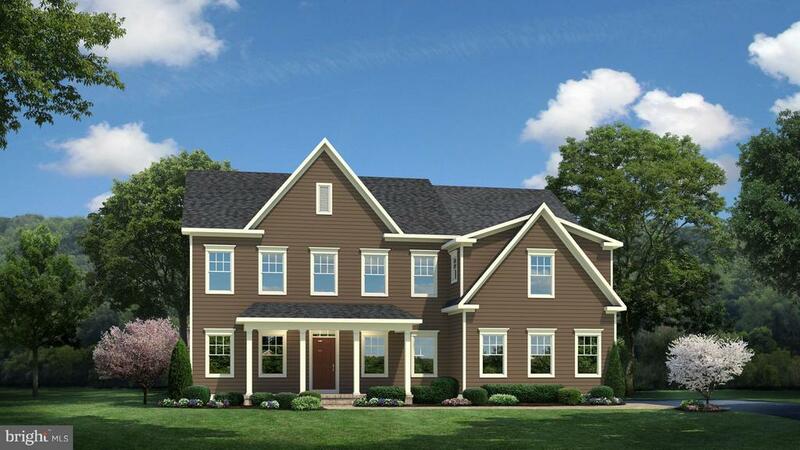 Features 4bdrms w/ an easy option to add additional bedrooms on main level & basement. Incredible standard features, open-concept floorplan, and endless community amenties which include: fitness, pool, golf and other recreational facility. VRE station in progress. Visit today!" 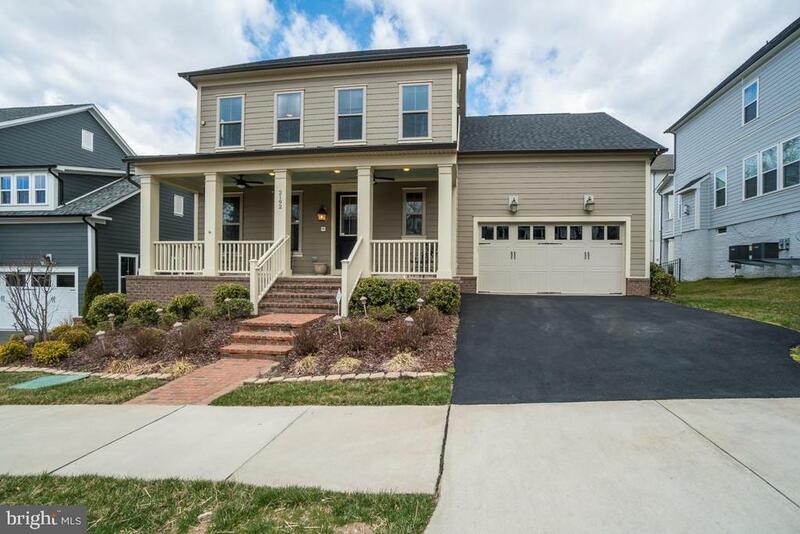 "Beautiful home with all of the upgrades you could want! This home is well cared for, and is ready for its next owner. Great location, beautiful lot." "SATURDAY, APRIL 6, OPEN HOUSE CANCELLED. OPEN SUNDAY AS SCHEDULED. Honestly, this house is fabulous! Why would you wait 6-8 months to have a home built when this one is ready and waiting NOW! Step into the foyer and admire the beautiful handscraped wood floors throughout the entire main level. Work from home? Through the french doors to your left is an office. To the right is the formal dining room. Next comes the beautifully appointed kitchen with an impressive island that seats four. Stainless steel appliances (including a gas cooktop), granite countertops, tons of cabinets, a food pantry plus a butler's pantry. There plenty of space in the kitchen for a table, too! Walk out the french doors to a great covered concrete porch! The porch also has a door to the 'arrival center'. The Arrival Center is a great place to shed those coats and muddy shoes! It has a coat rack and a bench seat with storage. Adjoining the kitchen is a large light-filled family room with a gas fireplace. Upstairs is the Master bedroom which has a large walk-in closet and small sitting area. Master bath has a jetted tub, separate shower with a seat and frameless door. Bath and tub have custom tilework. Two of the other three bedrooms have adjoining bathrooms and the third bedroom has a walk-in closet. The laundry room is situated on the upper level and has a rough-in for a sink. The washer and dryer convey. The basement is very large and has plenty of room for different activity areas! There is a full bath and additional space for storage. The basement is walkout (walkup w/ stairs). The outside space is as functional as the inside space. There is that great back porch that I mentioned above as well as a custom stamped concrete patio that runs all the way over to the walk-up steps! Enjoy the custom built fire pit (with seating) for its cozy warmth or roasting smores. Great in any season! The front porch is also concrete and has enough space to spread out and even invite the neighbors for a chat"
"Welcome Home! Brand-new 3lvl 4b+/2.5+ bth SFH w/OPT loft! Hardwood floors, granite counters & stainless steel appliances. Many luxury finishes come standard with this beauty. Fin rec room. Potomac Shores is the only golf course community on the Potomac river w/ a future town center, VRE station, schools, pools, fitness center & more! Prices/terms/availability subject to change. Photos similar." 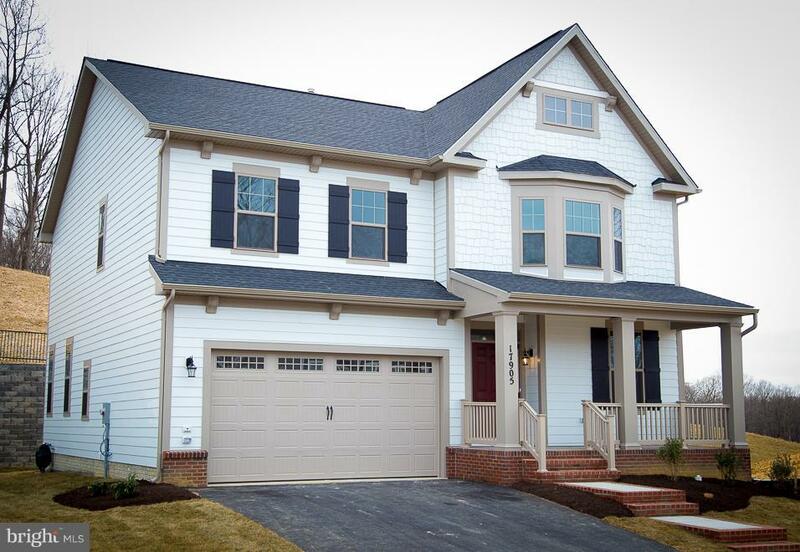 "IMMEDIATE DELIVERY - NEW CONSTRUCTION: Savannah Model, 5 Bedrooms, 4 Bathrooms: Brick Front, 2 Car Garage, First Floor Bedroom with Full Bath, Oak Stairs with Wrought Iron Balusters, Morning Room, Kitchen with Granite Countertops, Hardwood Floors and Upgraded GE Appliance Package, Family Room with Extension and Palladium Window, Walkout Basement with Rec Room and Full Bath, Upgraded Flooring. *Beautiful View! *"
"This gorgeous home built in 2018 has it all; location, curb appeal, cover front porch, upgrades throughout, etc. No need to wait for your perfect home to be built - It's all ready for you to move-in and enjoy!As you enter the foyer you're immediately greeted with a graceful arch and striking wood laminate flooring that welcomes you into the home. A formal living room is perfect for entertaining and the home office/study is so convenient. As you move through to the rear of the home, you'll notice how the space is open and breathtakingly upgraded. A huge family room with a fireplace and plenty of natural light opens to a stunning kitchen across a large island. This kitchen boasts granite countertops, decorator tile backsplash, stainless steel appliances, double oven, plenty of counter and cabinet space and a large, step-in pantry. The open dining area provides a wonderful space for gatherings at home. A rear door off this area opens to a covered porch and extended patio. The second upper level staircase is found off the dinette and ascends to a large second master suite or private guest room. This room has a full bathroom and a walk-in closet. It has so many possibilities for your enjoyment. Upstairs a double door entry opens to a luxurious owners suite with a tray ceiling, sitting area, and two huge walk-in closets. The master bathroom features a double bowl vanity, large bathtub and Roman shower with a seat. The hall bathroom also features a double bowl vanity. Three other generous bedrooms and a convenient 2nd floor laundry round out the main upper level. The basement offers a finished lower level that features a large family/media room, another bedroom and full bath. Another big room downstairs offers a ton of space for storage.You have to see this impeccable home to appreciate it!" "Price reduction! 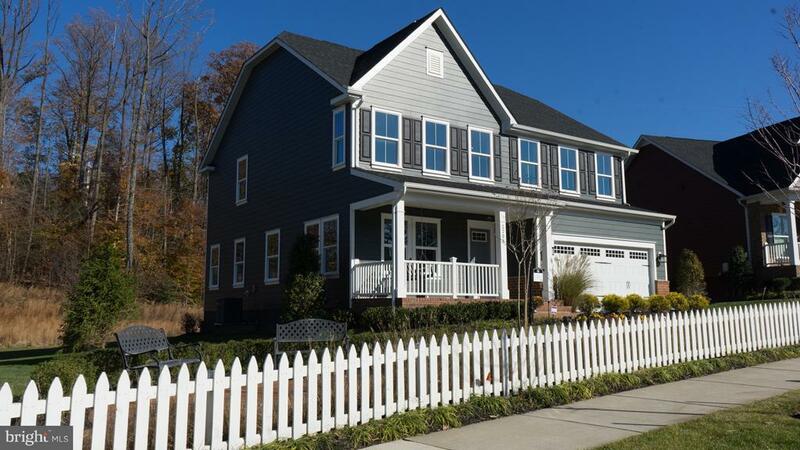 Georgeous Craftsman style home with charming front porch and attached 2 car garage! Modern & Open main level with tons of living space and open concept gourmet kitchen with an island, double wall ovens, gas cooktop, and tons of storage! Butler's pantry. Lots of natural light, spacious back porch, fireplace in family room. Beautiful dark hardwood floors. 4 bedrooms upstairs with 3 full baths. Large basement w/ storage room and stairs to the backyard. Backs to trees and no neighbors on one side of the house! Close to trails and VRE station, country club, golf course, entertainment & dining!" 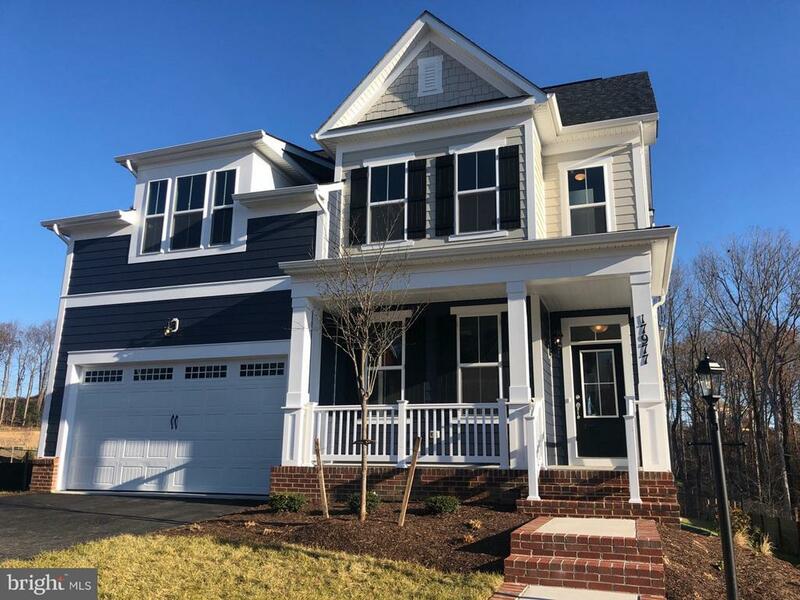 "Immediate Delivery - New Construction: Savannah Model, 5 Bedrooms, 4 Bathrooms: Maintenance Free Vinyl Siding, 2 Car Front Entry Garage, First Floor Bedroom with Full Bath, Oak Stairs with Wrought Iron Balusters, 4 ft. Ext. to Family Room with Fireplace and Palladium Window, Morning Room Off of Breakfast Nook, Upgraded GE Stainless Steel Appliances, Walkout Basement with Finished Rec Room and Full Bath, Upgraded Flooring Throughout"
"Milan model home, former sales office, never occupied is ready for YOU to move-in. Located at Potomac Shores, a Jack Nicklaus Golf Community. Featuring: Trails, Sports Fields, Resort-Style Pools, Fitness Centers and more! Future VRE and Town Center. Community events: Wine tasting nights, cigar and whisky gathering by the fire, Bunco, book clubs, zumba, paint and sip, story time for little ones, holiday gatherings and fun filled adult social evenings at The Shores Club and much more. Home has been winterized for weather conditions, humidifier included in home. Verizon internet included in HOA. What's there NOT to love about this home? Schedule a showing today!" 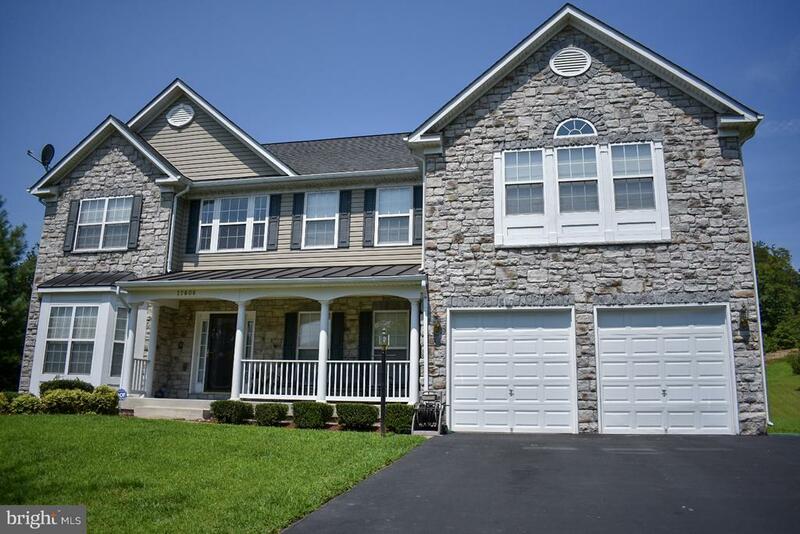 "New Torrington is Ready For Move In and has a ton of Upgrades!! The Main Level Master Suite has been Extended for additional space and the Deluxe Master Bath includes Granite Counters. The Kitchen offers Gourmet Stainless Steel Appliances and Granite Counters.Family Room has Volume Ceiling. 2nd Level has 2 Bedrooms, 1 Full Bath and a Loft with Overlook to the Family Room. Lower Level is Fully Finished with 4th Bedroom, Full Bath and Rec Room that includes a Wet Bar with Granite Counters! Security System, Surround Prewire, Smart Home Package and so much more!" 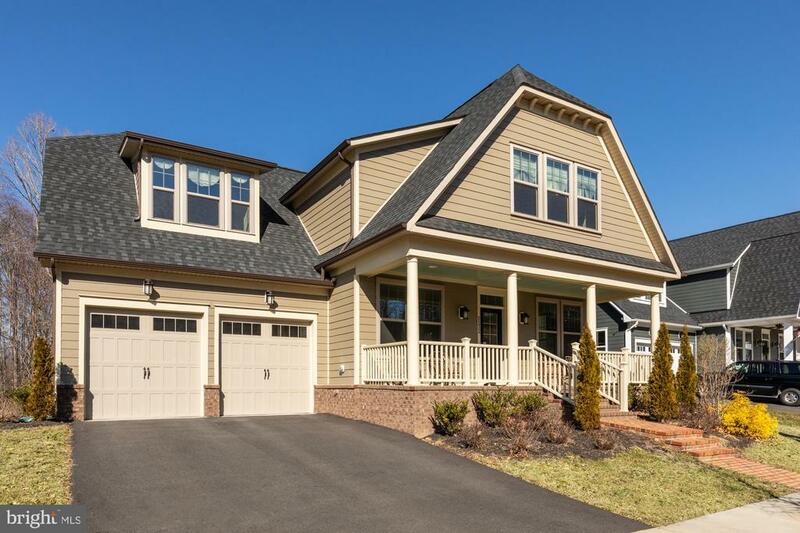 "Ideally located in the highly desirable community of Potomac Shores, this gorgeous home offers five bedrooms, four baths and beautifully conceptualized spaces. Newly constructed in 2017, find an exquisite interior adorned by quality fixtures and high-end finishes throughout. Details such as shiplap, sliding barn doors and a tranquil color scheme add just the right amount of elegance and coastal flair. Meal preparation is a dream in the chef~s kitchen complete with stainless steel appliances, granite countertops, center island/breakfast bar, and generous cabinet storage. Settle in to watch a favorite show in the inviting adjoining living room with cozy fireplace, or gather for a meal in the beautiful dining area with large windows. Each of the bedrooms are comfortable offering plush wall-to-wall carpet and a ceiling fan. The luxurious master is quite spacious and boasts a spa style ensuite bath with dual sinks, soaking tub and walk-in shower. The basement is fully finished and an ideal space for a media, game room, or work out room. Custom bar in basement leads to out back, deck and fenced yard~perfect for relaxation, playtime and safe for pets. Also enjoy a convenient mud room located just off the kitchen and a second-floor laundry room.Residents of this amenity rich community enjoy too many benefits to list including a Jack Nicklaus signature golf course, two pools, walking/biking trails, social barn, sports complex, marina and so much more! Exquisite ease of living awaits. Schedule your showing today!" 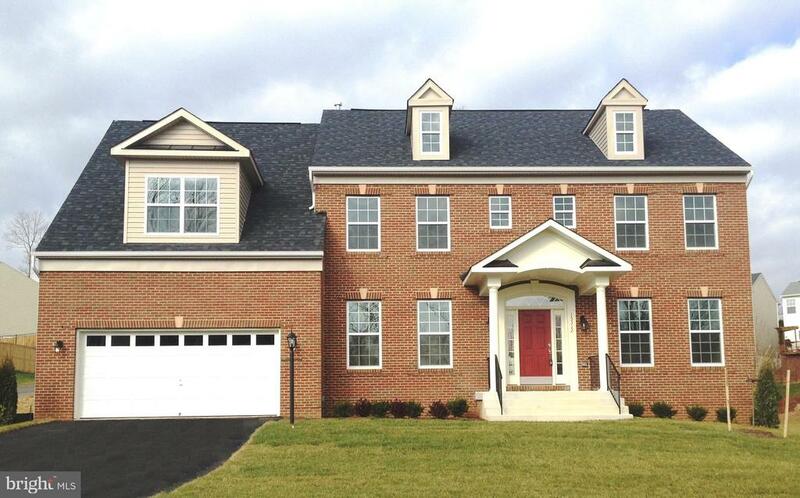 "Innovative floorplan w/ grand foyer w/ elegant staircase & main level library. Dream kitchen leads to open great room perfect for family/entertaining. Owner~s suite w/ spa like BA & amazing covered porch. Upstair laundry & walk in linen closet. Basement option for a recreation room w/ bar, media room or bd w/ full bath. Potomac Shores is a lifestyle community & feat. pools, walking trails & MORE!" "New Sumner II Ready for Move In! Kitchen with Gourmet Stainless Steel Appliances, Quartz Counters and Island. Oak Stairs! Master Suite has Deluxe Master Bath with Quartz Counters. 2nd Level with 4 Bedrooms, 3 Full Baths and Laundry Room. LL Rec Room, Den and Full Bath. Community pool, golf course, marina, fitness center and more!" 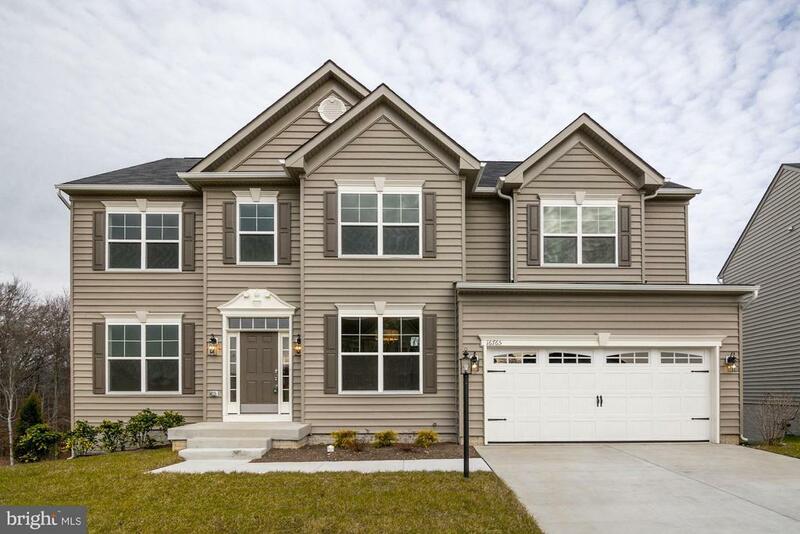 "IMMEDIATE DELIVERY - NEW CONSTRUCTION: Savannah Model, 4 Bedrooms, 3.5 Bathrooms: Maintenance Free Vinyl Siding, Oak Staircase with Birch Risers and Wrought Iron Balusters, Palladium Window in Family Room, Upgraded GE Appliance Package, Morning Room Off of Breakfast Nook, Areaway in Basement, Finished Basement Rec Room with Full Bath, 9 ft. Basement Walls. Exceptional Value!" "Home Sweet Home! Contemporary chic resort- style living with loads of upgrades in the hottest neighborhood everyone is raving about, Potomac Shores!! You will appreciate the gorgeous kitchen ample seating at the Custom made 7-foot Quartz Island. Entertain guests while you prep delicious meals to enjoy in the bright morning room! This fabulous kitchen even has a custom marble backsplash only Venice you can enjoy the cozy fireplace from your kitchen- WOW, True Potomac Shores elegance! Do you like the elegance of dark hardwoods? 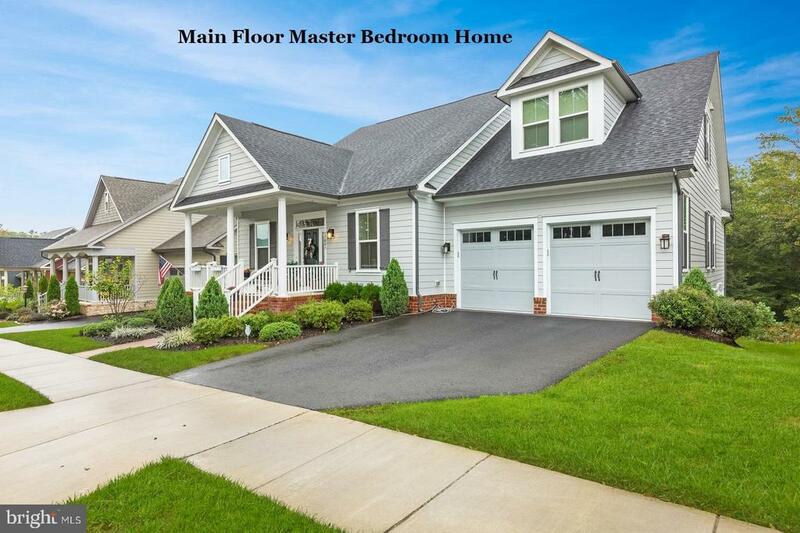 This home has upgraded 5inch hardwoods throughout the main level including upper level, even the bedrooms have hardwoods-stylish and easy to maintain! FULLY FINISHED basement w/ full bath and a new THEATER Room upgraded carpet and surround sound! Homeowners even put in a Brand NEW Patio off the morning room to grill and entertain. Have any pets? The back yard is fenced in! 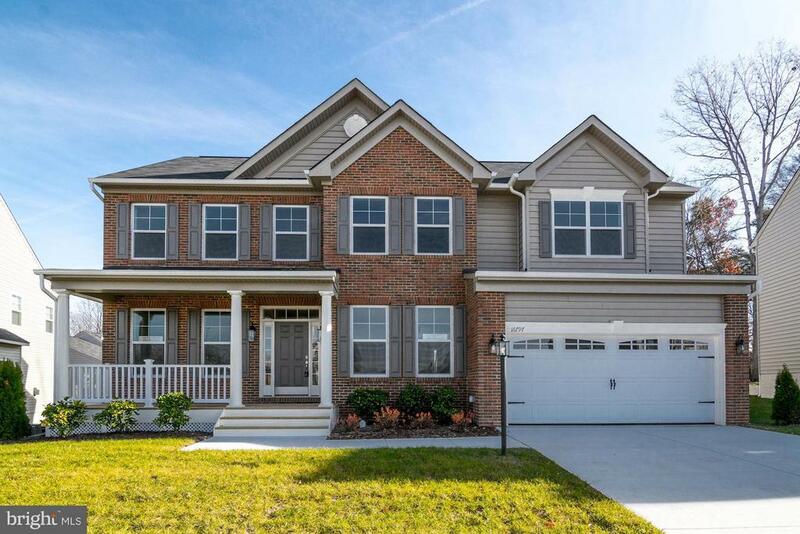 Move in and call this one HOME Today! 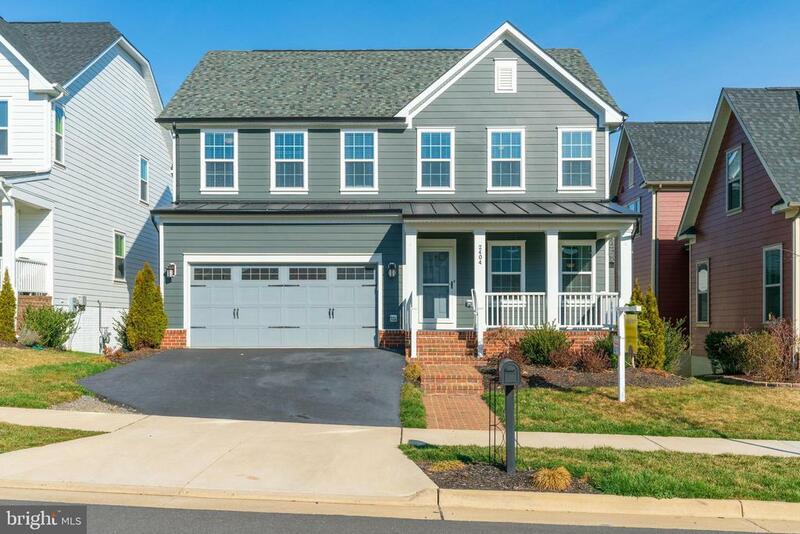 >>>>Award-Winning Resort Style living Potomac Shores is a commuter's dream neighborhood and is not just ANY neighborhood, it is the complete lifestyle. Neighborhood amenities include Golf, hiking trails, Resort style pool, fitness, social barn, tot lots, Tidewater Grill, BRAND NEW SCHOOLS, VRE and Town center coming soon internet even included. Tons of activities. True Resort living at it's finest.!" 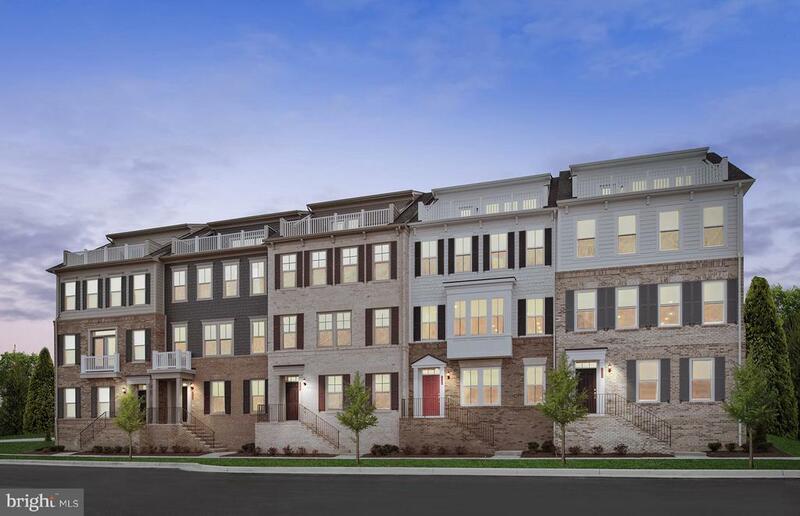 "Move-in ready luxury townhome offering the best location and lifestyle at Potomac Shores. Live across from the Shores Club pools, gym, and social barn, Potomac Shores Golf Course and Clubhouse/Tidewater Grill. Enjoy 4 levels of luxury living with a rooftop terrace with a view to relax after a stressful day at work, Gourmet Kitchen with upgraded New Haven cabinets in gray and Bianco Antico Granite countertop. The Owner~s bathroom includes stunning Tahoe cabinets in linen with Blue Pearl Granite countertop and a shower to dive in. Hardwood on Kitchen Level and Oak Stairs. Vacation where you live! Please call (866) 276-1022 for more information." "Available NOW! 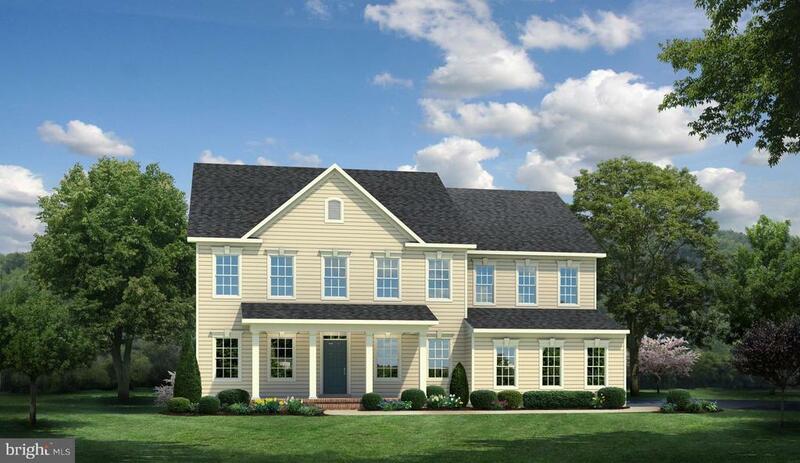 The Emerson features 3 bedrooms and 2.5 bathrooms on 2,749 sq. ft. Enjoy a fourth floor Loft and Rooftop terrace. The Owner's Bath includes an unbelievable shower. 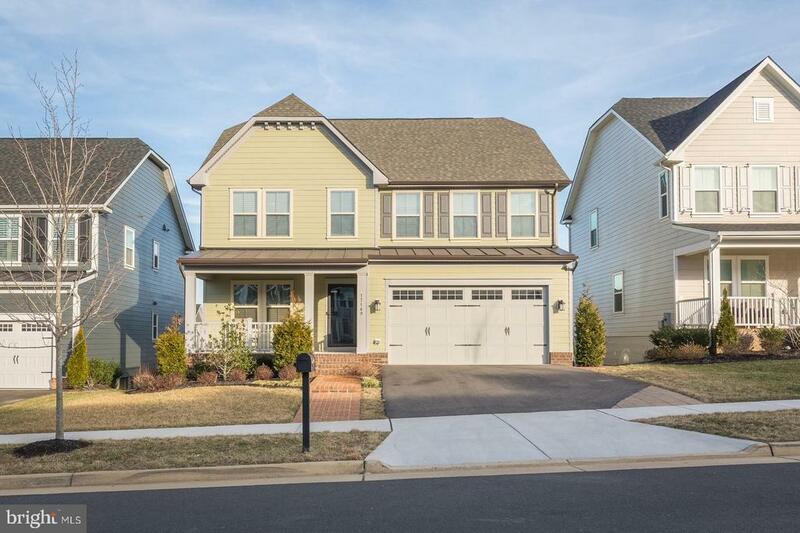 The home features Hardwood throughout the entire Main Level as well as Quartz Countertops and stunning Gray Cabinetry with Soft Close in the Gourmet Kitchen. Live across from the Shores Club pools, gym, and social barn, Potomac Shores Golf Course and Clubhouse/Tidewater Grill. Call (866) 276-1022 for more information." "Freshly painted and ready for you to move in and Entertain!!! Are you searching for a great home at a great price in the hottest resort style community of Potomac Shores that everyone is talking about? 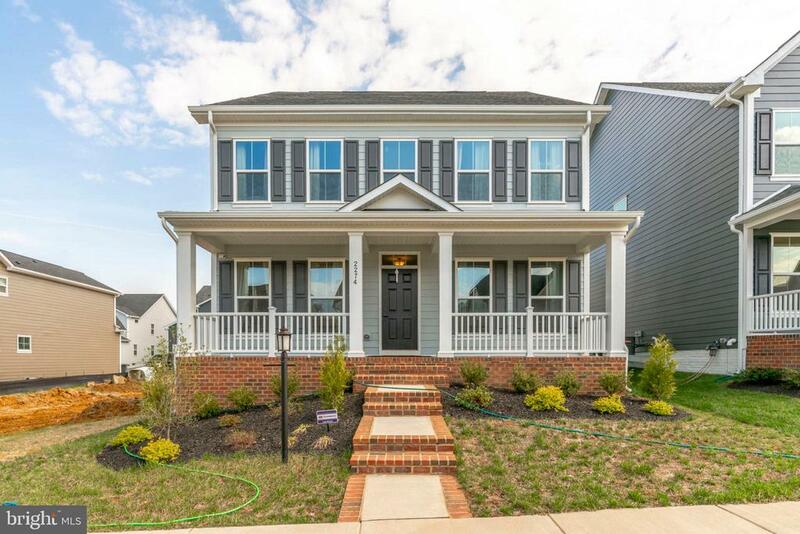 This one is Loaded with upgrades Appraised at $575,000! You will fall in love with the custom bar with waterfall granite including a built-in wine fridge. Upgraded hardwood floors in the entire house including the basement!! Plenty of outdoor entertaining space including a deck walk out patio with a fire pit and sitting wall! Everything was done for YOU! Dont miss it! >>>> Award-Winning Resort Style living Potomac Shores is not just ANY neighborhood, it is the complete lifestyle. 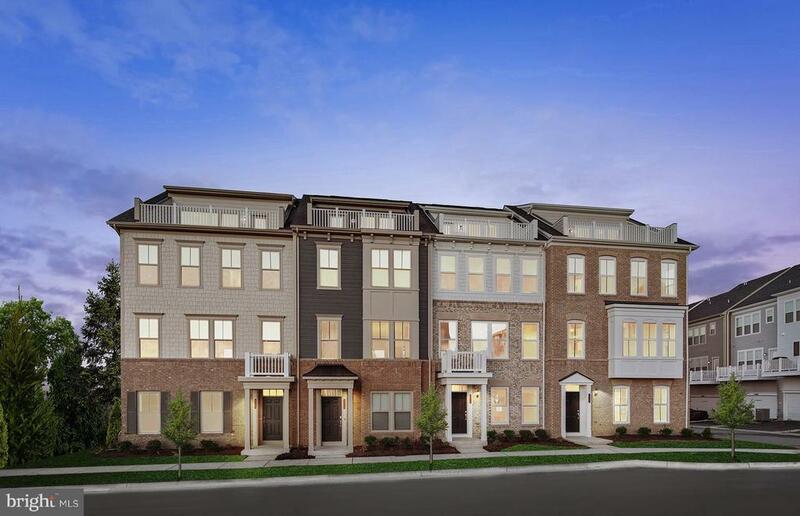 Commuter's Dream neighborhood amenities include Golf, hiking trails, Resort style pool, fitness, social barn, Tidewater Grill, BRAND NEW SCHOOLS, VRE and Town center coming soon internet even included. True Resort living at it's finest." "Allergy free home! Family member has severe allergies...this home is pet free, dust free, and clean! Price reduced $25,000 from original list!!! Owners are moving and are ready to go! Buy with the confidence of having a one-year home warranty paid by seller covering all major appliances and systems! This includes (HVAC, Electrical, Plumbing, Water Heater, Refrigerator, Range, Washer/Dryer, and more! Buyer can extend the home warranty for multiple years at closing. ~ Enjoy outdoor living?~ Make this 3 year new home yours today. This home comes complete with walk out access to your very own stamped concrete patio and built-in fire pit. Lawn maintenance is easy with the in-ground sprinkler system, just set it and forget it.~ This home is also within easy walking distance of wooded trails. Entertain guests in your family room equipped with movie theater surround sound.~ Feel secure with the app based security system that controls the thermostat and allows you to interact with your family members via voice and camera right from the app.~ Enjoy extra-large bedrooms as a result of the 2 foot bump out. The garage is taller and deeper than most and accommodates a 23 ft. boat and has built in storage. 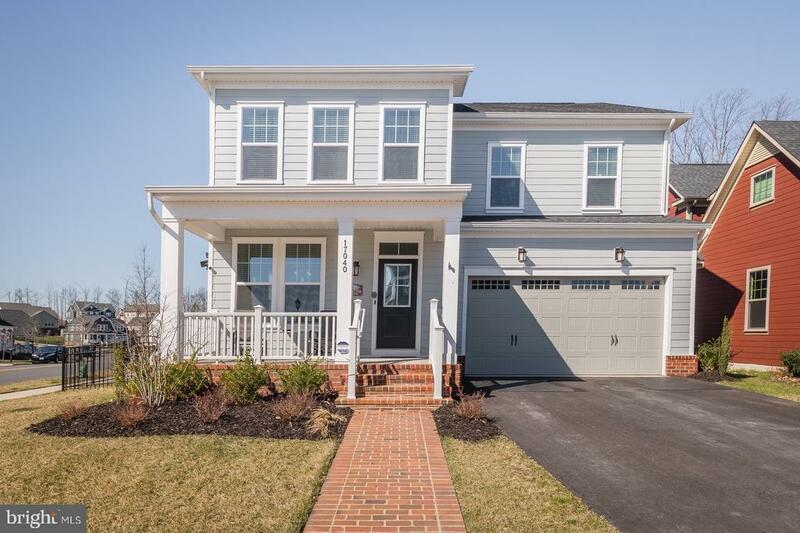 This is the only home in Potomac Shores with a side entry access door in the garage. This home includes hardwood floors throughout main level, and stairs to second floor and second floor hallway, and beautiful easy to maintain Berber carpet in the basement~ Other things you need to know.~~ All of the homes in Potomac shores have an interior sprinkler system, John Hardi siding and energy star appliances, systems.~~ The HOA Fee is $180.00 per month which covers trash, gym access, pool access, FIOS wi-fi access and snow plowing.~ The community also has a full time community social director on staff.~ You can enjoy your morning walk using the sidewalks that run throughout the communityor use the expansive walking trails that run through the woods of the property.~ The community is "